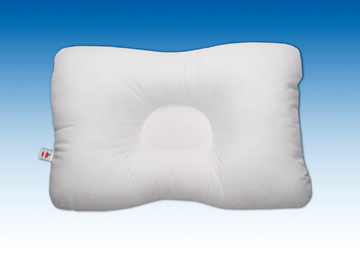 Proper cervical support at an economical price! Patented D-Shaped center greatly supports the neck to relieve pain and restore natural curvature of the spine. Helps relieve tension headaches and neck spasms. Filled with 100% polyester fiber. Fits a standard pillow case.